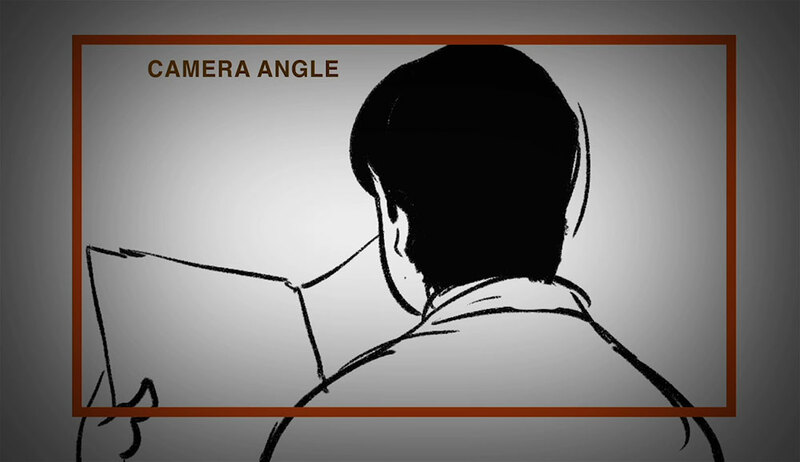 Staging is fundamentally the most important principles to be kept in mind while Animating and planning a scene. Always stage an action so that the audience understands it. If you are staging a character or a personality make sure it’s recognizable. 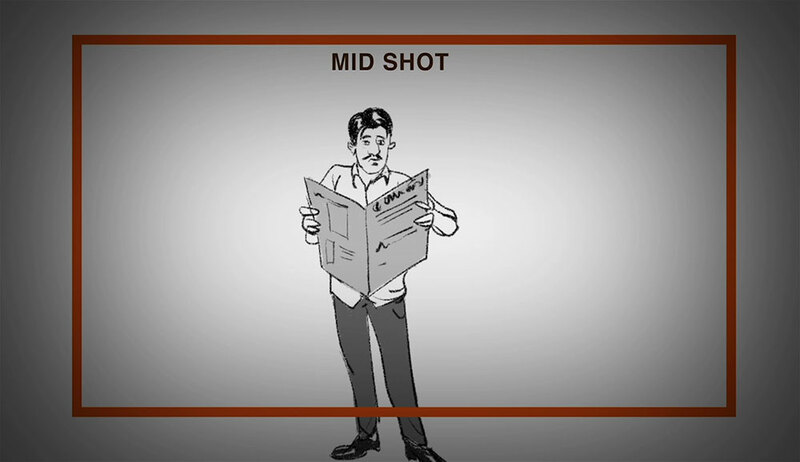 Also good staging helps in reading the expressions of the character clearly and overall helps in pushing the mood of the scene, thus engaging the viewer. Below are the points one must keep in mind. 1. 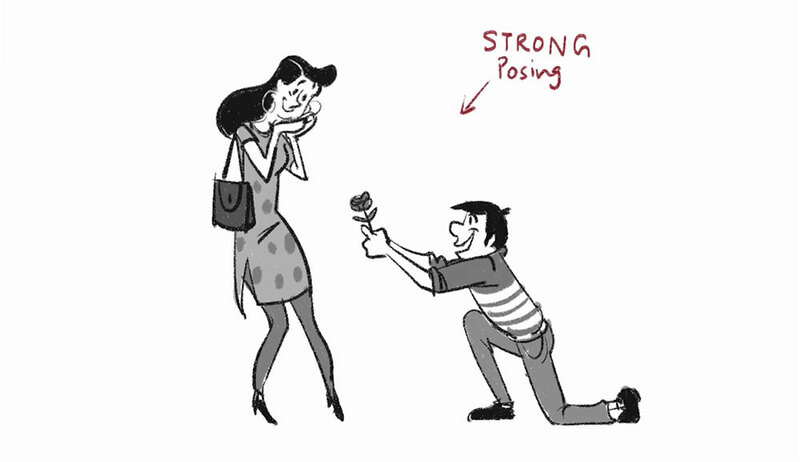 A pose or action should clearly communicate to the audience the attitude, mood, reaction or idea of the character as it relates to the story and continuity of the Storyline. 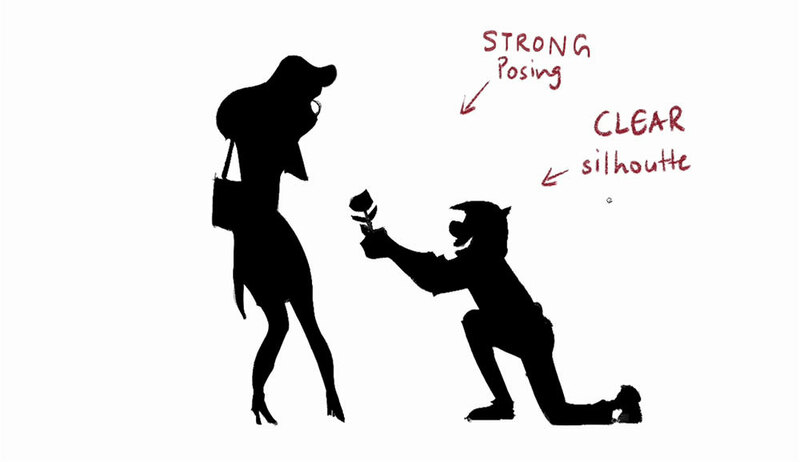 A better silhouette and a strong pose reads better. 2. 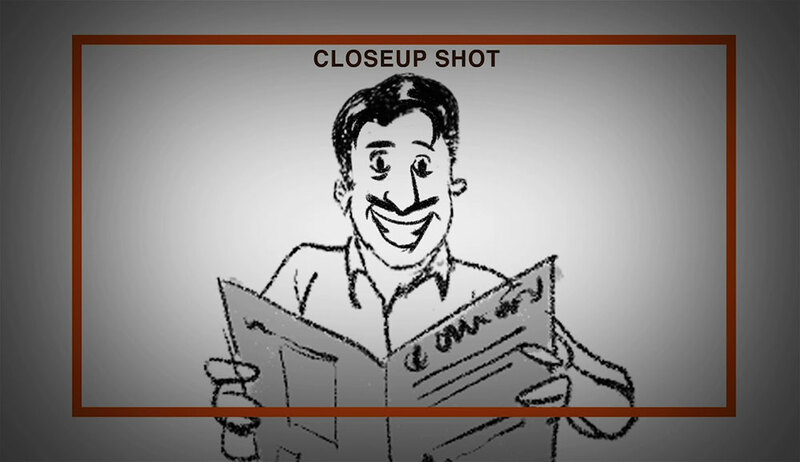 The effective use of long, medium, or close up shots, as well as camera angles also help in conveying the story.Since in a film there is a limited amount of time, thus each sequence, scene and frame of film must relate to the overall story. 3. Do not confuse the audience with too many actions at once. 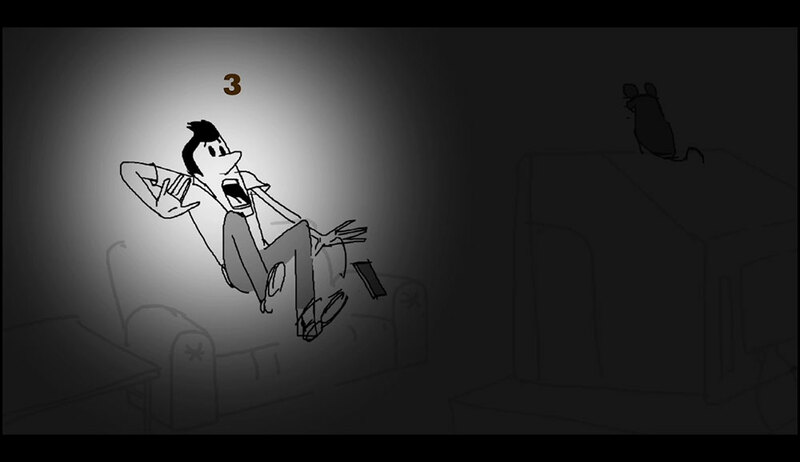 Use one action clearly and get the idea across, unless you are animating a scene that is to depict clutter and confusion. 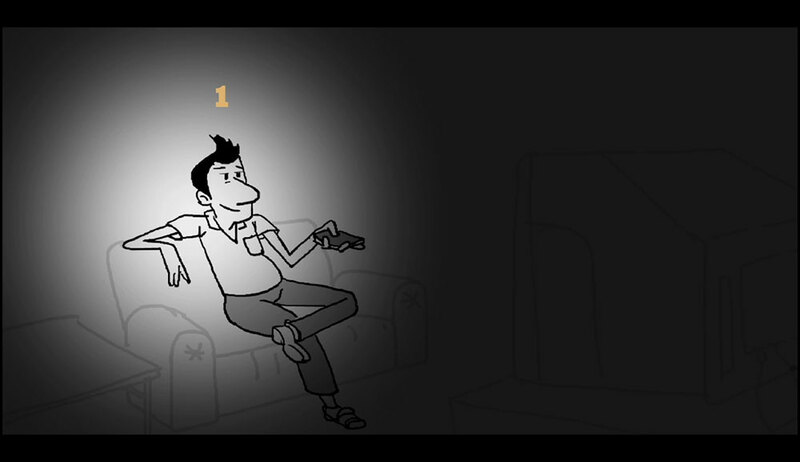 Take control of what the audience looks first. 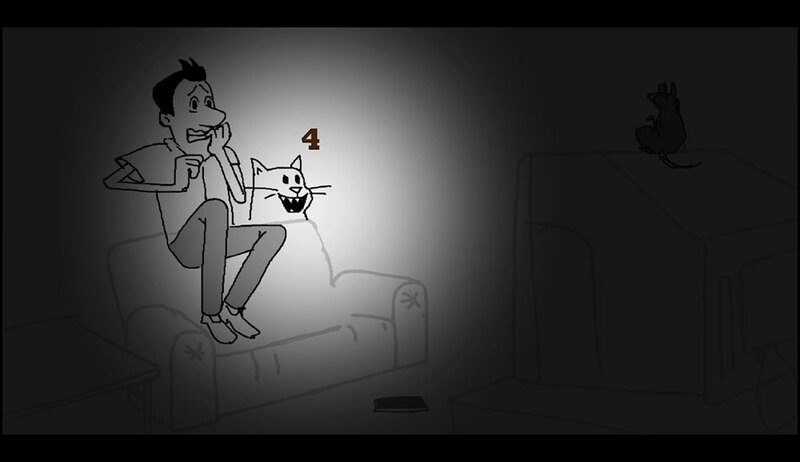 First you see the main character watching TV, second the rat appears and then the character reacts and then the Cat pops out. 4. Staging directs the audience's attention to the story or idea being told. 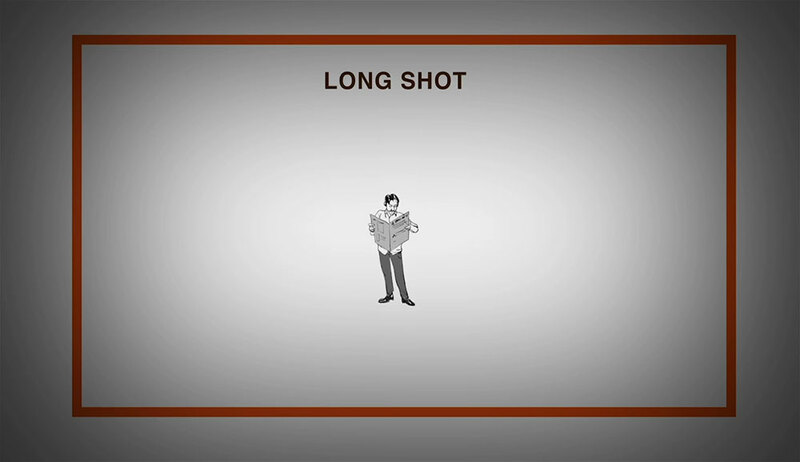 Care must also be taken in background design so it isn't obscuring the animation or competing with it due to excess detail behind the animation. 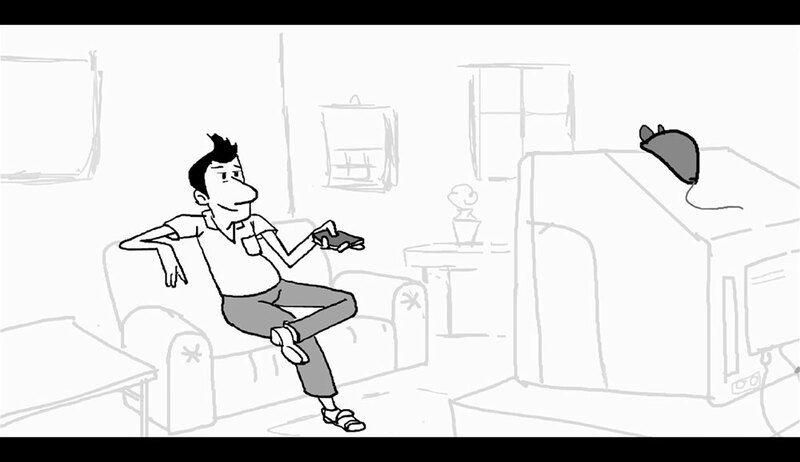 Background and animation should work together as a pictorial unit in a scene. 5. 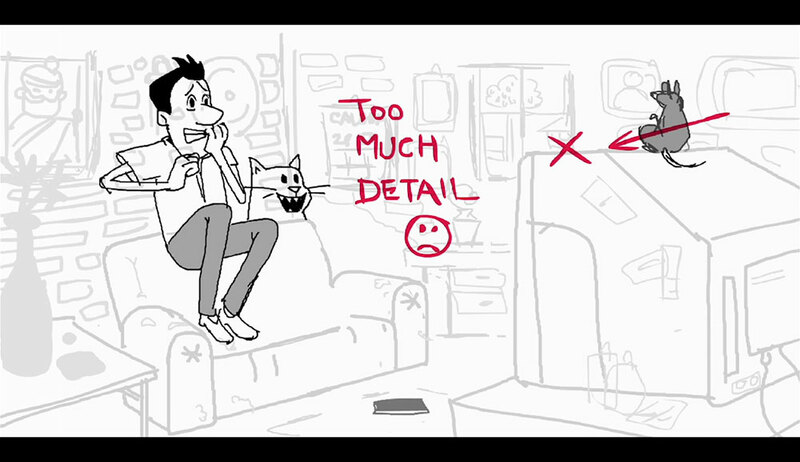 While animating a scene, planning out with rough thumbnails always help. Creating Thumbnail drawings for your scene in advance acts as a blueprint and brings clarity to the idea being conveyed. 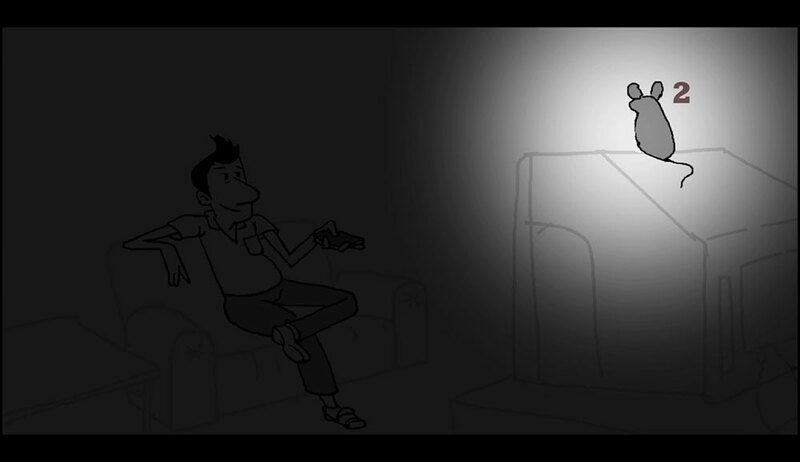 Also it helps in detailing out the storyboard for further planning. 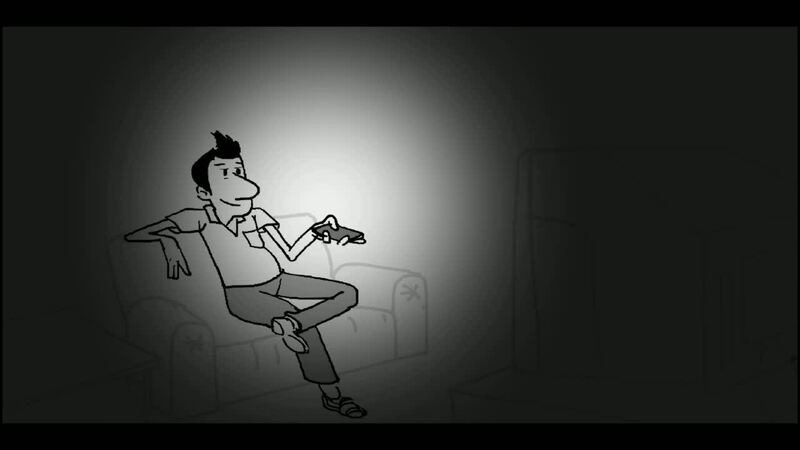 It’s a good way to resolve initial timing and composition for the scenes. For further information refer to the video.